STREET FIGHTER II – Hailed as one of the best beat em up games ever, and hailed by me as a button mashing nightmare of a game. I for one cannot and will not see the appeal of this side-on fighting game. I resent having to know all the button combinations beyond kick and punch. Too may of my formative years were spent being pulverised by people who knew what they were doing. Nothing was guaranteed to piss me off more than another night playing Street Fighter II on the SNES. Just for the record I tried to play it the other night…..and still couldn’t do any more than punch or kick. SUPER MARIO KART – It might seem like this is turning into a hatred for all things Nintendo but I can assure you it isn’t. No matter what version of Mario Kart it is, I simply cannot think of anything worse – well maybe a night in playing Street Fighter II. If it wasn’t for the total unfairness of it all, I might like it. My friends have always agreed that there is a certain unpredictability about it and friendships have been strained because of it. I will admit a liking for Double Dash on the Gamecube, however, but that version along with Mario Kart 64 are regarded by many as inferior to the original Super Mario Kart – therefore meaning that I only like crappy versions of Mario Kart, which in my opinion is most of them. WHY DOES THIS NOT EXCITE ME LIKE IT SHOULD….. THE PLAYSTATION VITA – Seriously I am about as unexcited about this as I am excited to be getting a new motorised polisher for my car. The 3DS died on its arse when it was launched and only now, because of Mario releases, is it beginning to get noticed. Time will tell on the Vita but for me it’s not something I care two jots about. N64 AND PS1 GAMES – Some of these games look absolutely horrible now compared to when we first came across them back in the day. Two examples spring to mind – Turok on the N64 and Spiderman on the PS1 (Probably because I have played these two fairly recently). When Turok first came out it was well received but playing it now sees you running round in a foggy atmosphere with not much going on. Ditto for Spiderman which is ruined by some god awful polygonyish graphics at the start of the game. I know it’s meant to be a comic book but some of this is barely playable. Why have games like these aged so badly? Are they now more unplayable than less technically advanced games i.e. Frogger? Pop a PS1 game in your PS3 and you’ll soon find out. RESULT : No looking beyond the PS1 on this one. The N64 comes a close second though. RESULT : PS2 takes it with the rest fighting amongst themselves for second place. 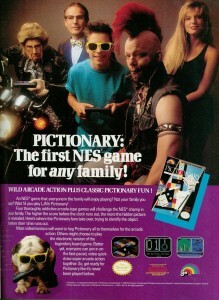 Print article This entry was posted by RetroBear on February 29, 2012 at 6:55 pm, and is filed under Everything Else, Retro Reviews, Uncategorized. Follow any responses to this post through RSS 2.0. Both comments and pings are currently closed.